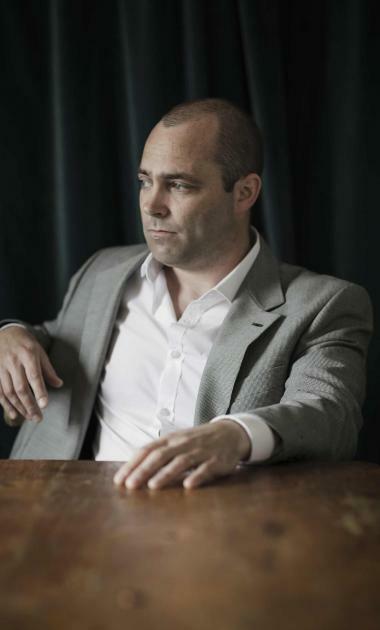 Donal Ryan’s The Spinning Heart is one of three debut novels longlisted for the Man Booker Prize this year. Last year the book won Book of the Year at the Irish Book Awards, and it has been acclaimed as the first book of a remarkably talented writer. It’s only short, and a pacy read, though occasionally I found myself flipping back to check I hadn’t lost the plot – though this isn’t necessarily a bad thing. The novel is told in chapters each narrated by different characters (21 in all) in the same Irish town. This is modern Ireland: hit by recession, struggling with lack of jobs and money, and the spiralling violence and social unrest to which this leads. Yet the characters are so distinctly Irish, and somehow, quietly, proud of it, that their voices float above the pages like mist. Ryan captures the lilting and idiomatic language of his speakers, playing with words, making them sound (mostly) real, as though we were listening to their stories, yet with a poetry and fire of their own. The characters’ lives are all interlocking, like pieces of a jigsaw that don’t always quite fit, or need careful scrutiny before we understand how they relate to the others. We begin with Bobby Mahon, once foreman of a building company which has gone bust, leaving the workmen with nothing after the owner vanished. Bobby is a tragic hero, in some ways: his life is tainted by the troubles of the past, worries of the present and, in the end, an uncertain future. He is a good man, worker, husband, but one who is battling against the odds. After the opening chapter, we don’t hear directly from Bobby again, but the events of his life, often told by hearsay or speculation, form the main thread of the plot. Among the other characters we see Bobby’s wife, Triona, other ex-employees of the building firm, a nursery owner whose business is in trouble, a young woman living on a deserted estate half-built by the firm, a migrant builder and many others. 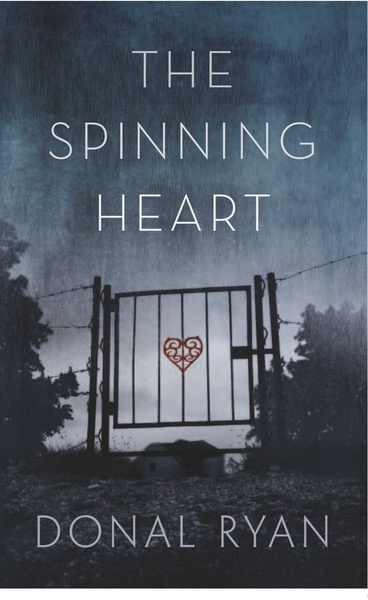 This multiplicity of voices makes The Spinning Heart a hugely ambitious novel, especially for such a compact book, providing a story-telling technique which is not always easy to follow but is addictive to read. The greatest achievement of this approach is its ability to tell the tale of a town in distress in a way which seems natural and unforced. All the characters have problems: worries, fears, past losses, present sadnesses. And this is a deeply sad novel, though the characters rarely dwell on it: there is a little tragedy in every chapter, a lost child, a dead parent, as well as poverty, violent relationships and the grinding misery of day-to-day life. The closure of the building firm is the catalyst for other events and sadnesses, too: a kidnapped child, a murder, the breakdown of relationships. There are many children in the novel, and one cannot help but wish for a better future for them. It would be easier to read, I think, if it was historical, if we could think that this kind of despair was behind us, but it isn’t; Ryan unflinchingly paints a grim picture of modern Ireland, and in doing so raises some important issues about the way that the economy, the workings of businesses and the greed of capitalists can have far-reaching, undreamt of effects, particularly on the lives and relationships of those affected by the downturn. I’m not quite sure I can say I enjoyed this book, but it’s a remarkable literary perspective on a grim situation, and is a worthy contender for the prize. Next What is Gothic? And what isn’t?